The ESO crew concludes the Countdown to Halloween with a blazing campfire, some marshmallows, and our favorite ghost stories. 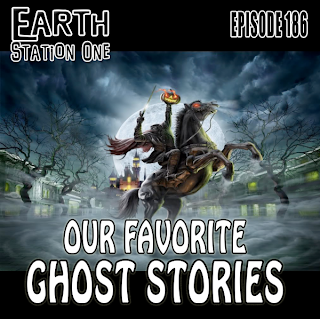 Mike, Mike, and the award-winning author Bobby Nash are joined by Ghostbustin’ writer Erik Burnham and Halloween Legionnaires Martin Powell and Diana Leto for some spooky stories, terrorizing tales, and paranormal mysteries. 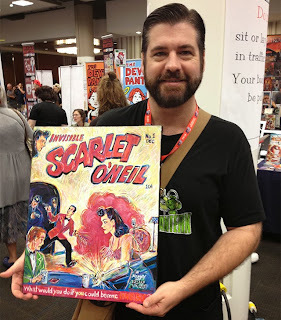 Plus, The Bone Witch author Jason Asala faces something more frightening than Baba Yaga, The Geek Seat! All this, and the usual Rants, Raves, Khan Report, and Shout Outs! 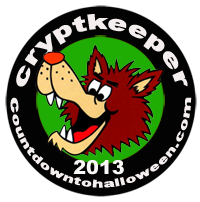 This week's Countdown to Halloween Rave goes two books and one new tv series. 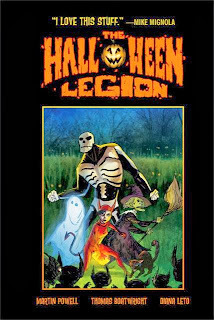 First, you must pick up Halloween Legion and The Bone Witch! They are the perfect way to keep the seasonal feeling going now that October has come to an end. 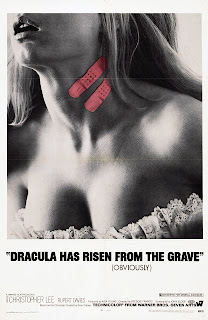 I also quite enjoyed the premiere of the new series, Dracula. 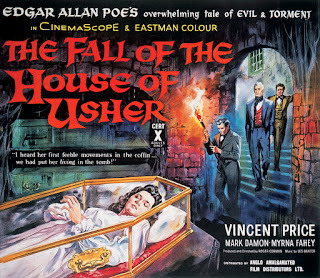 It is not at all faithful to the Bram Stoker novel, but it is nevertheless interesting and worth checking out. 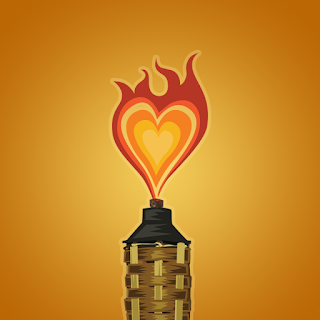 And my Shout Out goes out to the ESO Network sister podcast, the RevCast. Gary Mitchell, Nathan Laws, and I discussed the recent release of the discovered classic Doctor Who episodes. It was fun and informative! Next week, Hulkamania runs wild all over the station! That's right, brother! We continue our look at pro wrestling circa the 1980's Plus, the usual assortment of Rants & Raves, Khan Report, interviews, The Geek Seat, Shout Outs, and so much more! Earth Station Boo 2 - Electric BOO-galoo! 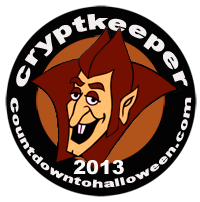 Calling all dorky demons and geeky ghouls! It is once again the time of year where spooky spirits roam the dusty corridors of Earth Station One and Phantom Troublemaker possesses the transmission to bring you the creepiest and scariest show of the year! 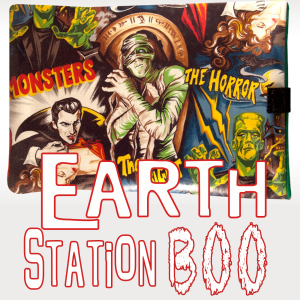 That’s right, Phantomaniacs – Earth Station Boo has risen from the grave and is ready to haunt your nightmares! 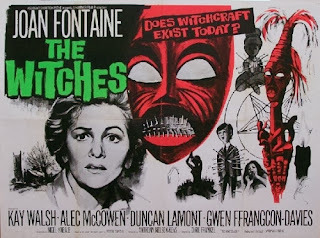 This month has been especially hectic and I have not had the chance to post about my favorite monsters as much as I planned, but I still will make time this Halloween season for my mini-marathon of classic horror movies. I am grateful to Turner Classic Movies for all my selections this year! 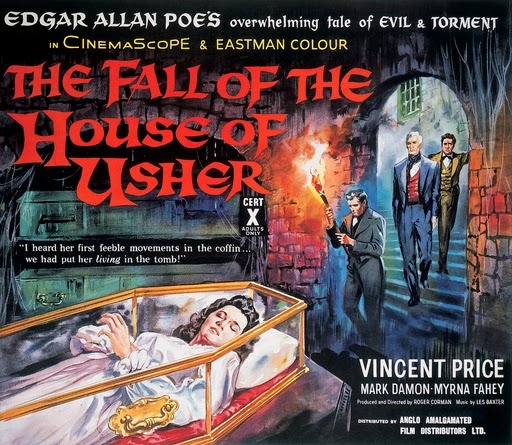 TCM has hosted a marathon of Vincent Price films all month long and it was tough to pick just one, but I decided to go with the Roger Corman classic. The lovely and classy queen of the silver screen, Joan Fontaine, celebrated her 96(!) birthday last week and I realized I have not yet seen her final performance. Shatner speaks Esperanto. 'nuff said! The third Christopher Lee/Dracula movie from Hammer was released two days before I was born. This movie was probably not the reason my mother gave birth to me a few weeks before schedule, but I'm keen to check. 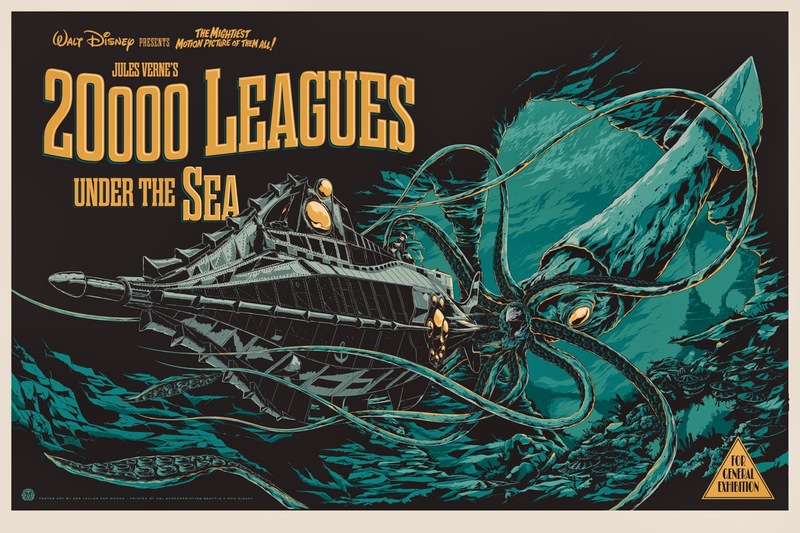 Also, nice poster. We continue our Countdown to Halloween spotlighting one of the true masters of horror, John Carpenter. Mike, Mike, award-winning author Bobby Nash, award-winning artist Mark Maddox, Anthony Taylor, and Drew Meyer run into some big trouble in Little China and escape from New York wearing their sunglasses while avoiding psychopaths in Shatner-masks, all the while trying to figure out which crew member is the thing. 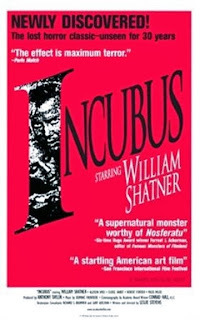 Plus, Anthony introduces us to a new Atlanta convention celebrating the fantastic in film, literature, and art, Monsterama! 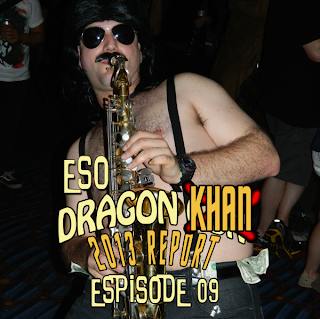 Plus the usual Rants, Raves, Khan Report, and Shout Outs! 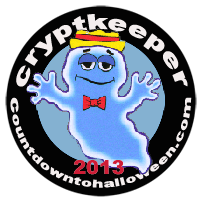 This week's Countdown to Halloween Rave goes to Turner Classic Movies! 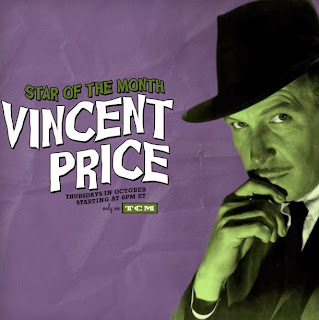 Not only is TCM one of the best channels to watch classic movies in general, but it is especially true this time of year. 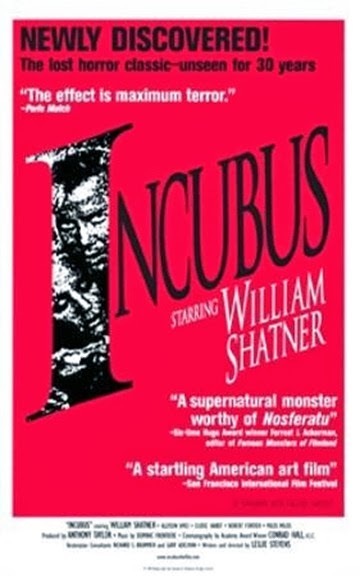 In fact, all of my selections for my Monster Movie Mini-Marathon this year have been on TCM. And my Shout Out goes out to Mark Holland and the ASAP Podcast! I was extremely honored to be asked to be interviewed for the show. Mark was a great host and we had a fun chat! Next week, the ESO crew concludes the Countdown to Halloween by sitting around the campfire and telling our favorite ghost stories! Plus, the usual assortment of Rants & Raves, Khan Report, interviews, The Geek Seat, Shout Outs, and so much more! 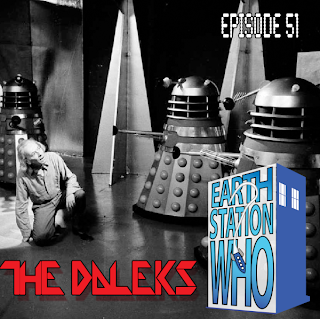 On this episode, the ESW crew celebrates the 50th anniversary of the Doctor’s longest running adversary by reviewing the story where it all began! 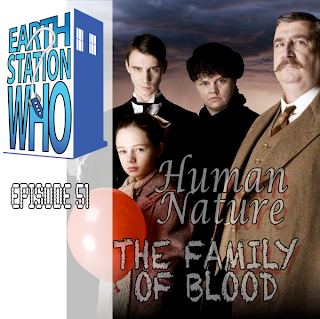 Mike, Mike, Phantom Troublemaker are joined by Rich Morris to watch Ian be the hero, Barbara go native, Susan running through the jungle, Thals passing ropes to one another, and The Doctor being a jerk. But we are so glad it is a surviving story from the early years! We also discuss the discovery of more classic episodes along with rumors of things to come. The truth is no longer out there, it is on Earth Station One! We continue the Countdown to Halloween as former cigarette-smoking host Mike Gordon is joined by skeptic Mike Faber, believer and award-winning author Bobby Nash, and lone gunman Thomas Deja, to declassify one of the most influential TV series in our time. And speaking of paranormal, we also chat with Bobby and the creative team of Alexandra Holzer and Michael Hudson about the new prose series Ghost Gal right before we give them a scare with The Geek Seat. Plus, the usual Rants, Raves, Khan Report, and Shout Outs! 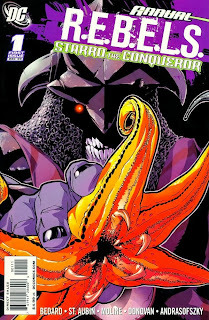 This week's Countdown to Halloween Rave goes to The Halloween Legion: Great Goblin Invasion graphic novel. Written by Martin Powell, with art by Thomas Boatwright and Diana Leto, the hardcover is the perfect all ages story for the season. Fun stuff!!! 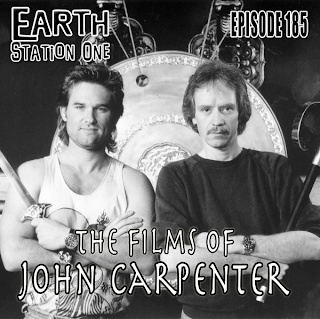 Next week, the ESO the Countdown to Halloween continues as we profile a director most associated with the holiday, John Carpenter. Plus, the usual assortment of Rants & Raves, Khan Report, interviews, The Geek Seat, Shout Outs, and so much more! 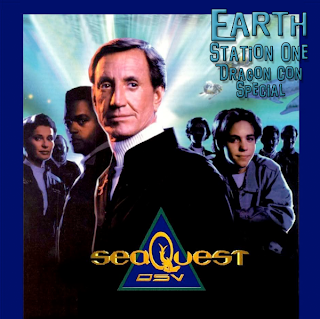 Earth Station One’s Bobby Nash and Good To Be Geek’s Jessa Phillips moderated a fan discussion panel celebrating the 20th anniversary of seaQuest DSV at the 2013 Dragon Con convention. This panel was part of the fantastic American Science Fiction Classics Track. 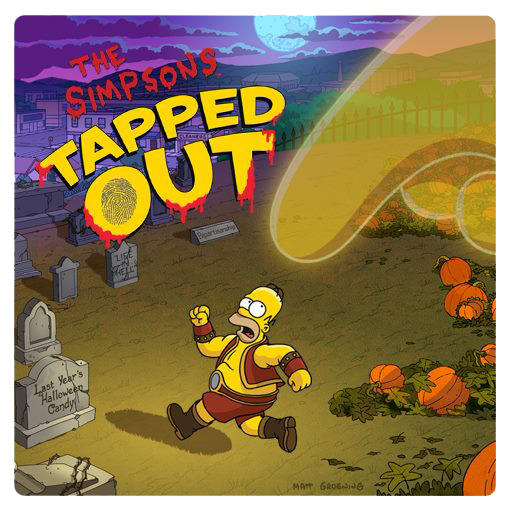 This week's Countdown to Halloween Rave goes to The Simpsons. This year, the opening of the Treehouse of Horror XXIV designed by director Guillermo del Toro was one of the best ever! The developers of The Simpsons: Tapped Out game have also been doing a spook-tacular job with haunting my virtual Springfield. If you haven't already downloaded this app, now's the perfect time! And feel free to add me to your Origin friend list. My username is newlegendmike. And my Shout Out goes out to a local artist who honored Russ Stamm, Jr and myself with a painted version of the cover to Invisible Scarlet O'Neil #1. Trevor Hawkins presented it to me at Dragon Con and I was blown away! 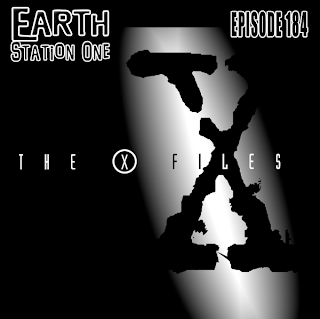 Next week, the ESO crew continues the Countdown to Halloween with a look at one of my favorite series of all time, The X-Files. 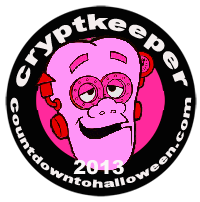 Plus, the usual assortment of Rants & Raves, Khan Report, interviews, The Geek Seat, Shout Outs, and so much more! The Doctor explores what it means to be human in one of our favorite stories in the 50 year history of the franchise. Mike, Mike, Jen, and the Phantom Troublemaker record “The Podcast of Impossible Things” and try to avoid Family members and menacing scarecrows. We also review the ninth episode of The Doctors Revisited, and chat about the latest news and fandom. We are being watched. Good thing Earth Station One is an audio podcast! Mike, Mike, the award-winning author Bobby Nash, and Jack Kammerer Jr. take on The Machine and all the characters it surveys. We also have our own Fangasm when Molly McIsaac spends some time in The Geek Seat. 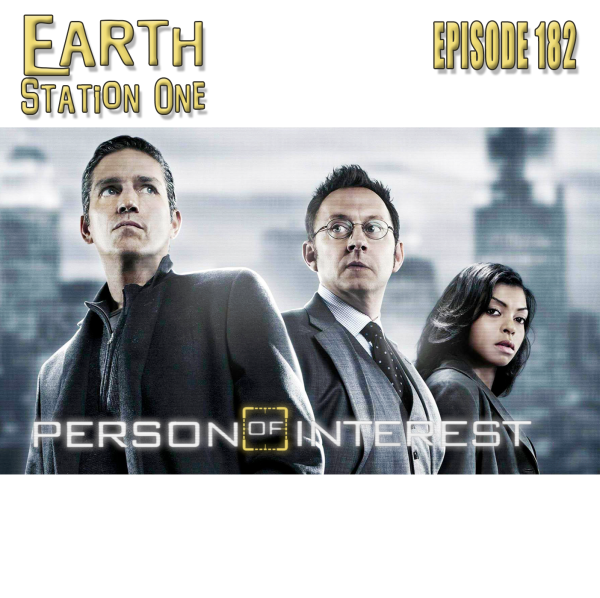 Plus, rants and raves on the much-anticipated first episode of Agents of S.H.I.E.L.D., a special Khan report of AWA from Ravyn, and the usual Shout Outs! 0:06:56 Reviewing the first episode of Agents of S.H.I.E.L.D. This week's Shout Out goes out two creators who very impressed me with tv series that ended this week. 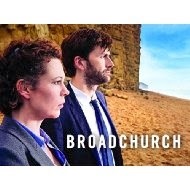 Wednesday saw the conclusion of the first series of Broadchurch by Chris Chibnall on BBC America. An intense conclusion to an overall gripping drama. 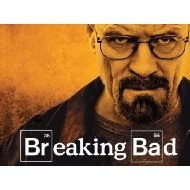 Same can also be said of the series finale of AMC's Breaking Bad by Vince Gilligan. After five years and huge hype, I was very pleased to see the final chapter actually surpassed my expectations. 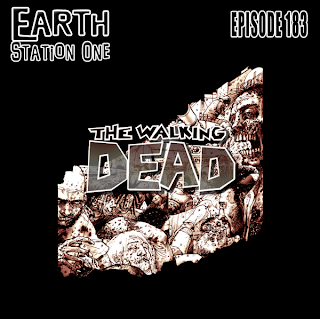 Next week, the ESO crew kicks off the Countdown to Halloween with a look at The Walking Dead. From comics to TV, to novels, toys, and games, there seems no end in sight for everyone’s favorite undead series. Join ESO and some special guests as review the history of the franchise and look ahead at what’s to come. Plus, the usual assortment of Rants & Raves, Khan Report, interviews, The Geek Seat, Shout Outs, and so much more! Dragon Con 2013 is behind us now, but the fond memories, con crud, and the numerous buckets o’ rum will live with us forever. Mike, Mike, the award-winning author Bobby Nash, Mary Lou Who, Nikki Rau-Baker, and rookie Ravyn, tell their tales of survival among the record-setting crowd. Though one can never be truly prepared for Dragon Con, our year-long review of tips, interviews, and news reports came in handy and we had one of the best cons ever! So much so that we’ll need the next few months to recover. We’ll be back in January for our first look at Dragon Con 2014!!! The opening of Return of the Jedi is one of my favorite sequences in the entire saga. Luke returns to his home planet a much different man from the boy who left (far less whiney). He confidently enters Jabba's palace prepared for anything the Hutt may throw his way. And why not? He's a Jedi now and he has his friends backing his play. After Jabba threatens him, C-3PO tries to warn him that he's standing on a trap door, but he just gives the droid a look as if to say, "Don't worry, Goldenrod. I got this." And down he goes! We all know there's something big and nasty down there because earlier the big pimp-daddy slug tossed one of his gals down there. And the tough Gamorrean guard that follows Luke down the hole knows it, too. As soon as he hits the ground, he starts squealing like a lil' piggy. And I don't blame him one little bit! It's a moment of great anticipation and Lucas and the ILM designers do not disappoint. 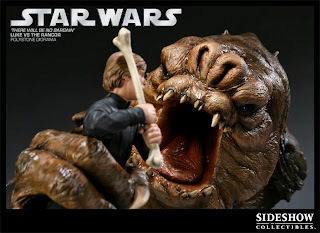 The rancor is an absolute behemoth. Powerful legs, long arms, tough hide, and literally bone-crunching jaws. 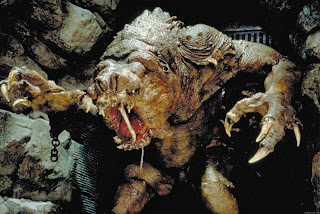 Out of all the creatures in the Star Wars Universe, this would be the one I would least want to share a room with (I bet it's breath smells like a wet abattoir). And it's a puppet!!! Originally it was going to be portrayed by an actor in a suit, but the early tests were not effective. So, a puppet was made and filmed in high-speed. The results were worthy of the legendary Ray Harryhausen himself. I find this arena battle much more thrilling and this creature much more threatening than the ones that later appear in Attack of the Clones. 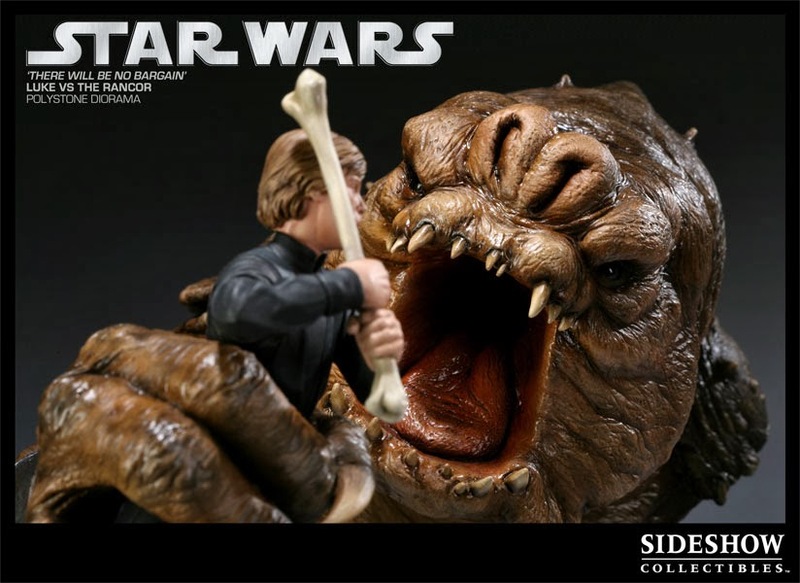 Perhaps it is due to the fact that the rancor was an actual fully realized creature model rather than a computer graphic, even if it was "just a puppet." 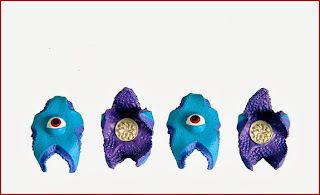 It also makes a very cool toy and collectible. Thanks to the mountainous expanded universe material, the rancor has an extensive bio and has appeared in numerous novels, games, and comics. I was always hoping to see one in the Clone Wars series, but they featured something called the "Jungle Rancor" that just wasn't the same. I'll admit that when I was younger, I was not impressed by a ginormous starfish as a big baddie. 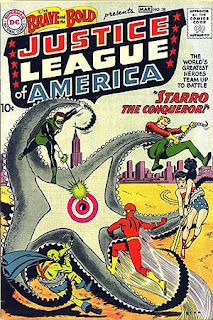 However, I've grown to respect Starro over the years and not just because he has the historic distinction of being the first foe of the Justice League (it is a lifetime dream that I'll one day be able to afford Brave & the Bold #28 to complete my collection). While he is large and powerful enough to require more than one superhero to defeat him, my favorite characteristic is his mini-me spores which he uses to mentally control all who oppose him. 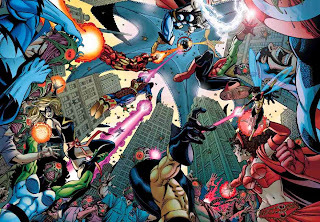 He is one of the most unique antagonists in the DCU and I geeked out when I saw him battling the Marvel heroes in the 2003 JLA/Avengers crossover. 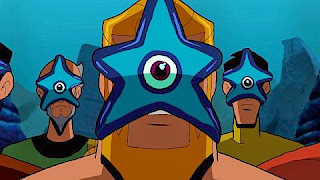 Starro has made numerous appearances in DC animated adventures (though I'm surprised he never appeared in the Super Friends series). 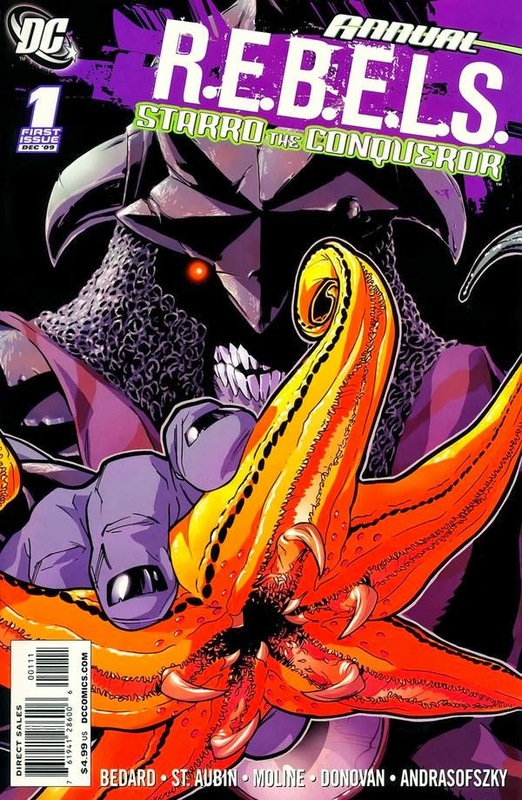 My favorite use of him outside comics is in The Brave & the Bold series in which he was featured in a season-long story line. Another Starro item on my wish list is the 2010 Sand Diego Comic Con Exclusive DC Universe Infinite Heroes Justice League set, which not only contained the figures to recreate the first appearance cover, but also mini spores you could attach to any 6" figure in your collection. 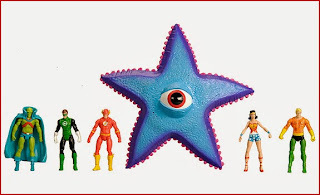 Starro has only appeared in the "New 52" as cameo in the first team-up of the Justice League (much to my disappointment). 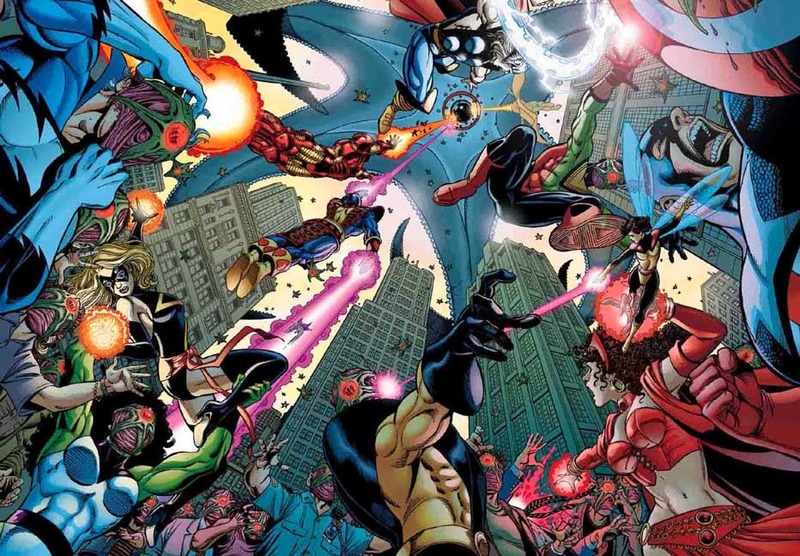 Before the DCU was rebooted, there was a very cool run of R.E.B.E.L.S. 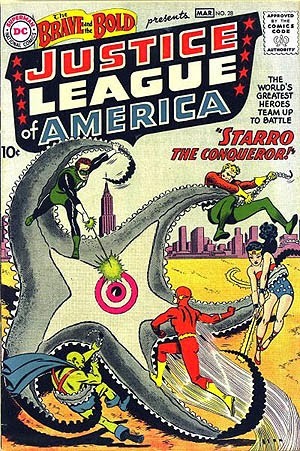 that introduced a humanoid Starro that I would love to see continue in some way. 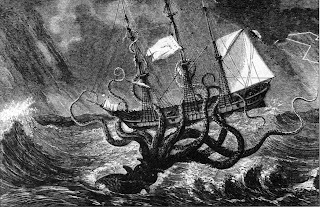 The giant octopus/squid of Scandinavian lore got a hell of a lot cooler once Liam Neeson demanded it be released in the 2010 Clash of the Titans remake. 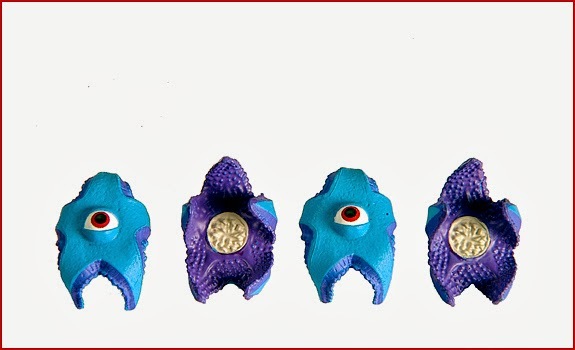 However, I personally do not care for the version of the creature we saw in the film nor in the original 1980 movie (apologies to Ray Harryhausen fans). I much prefer the gigantic tentacled monster depicted on illustrations in the 1800's. There's been some recent speculation that the kraken might have actually existed. Real or not, I love a good sea creature yarn, like Jules Verne's 20,000 Leagues Under the Sea. 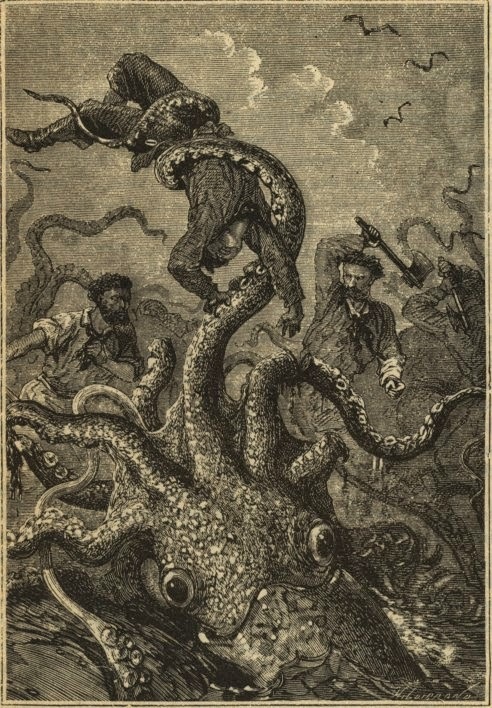 I understand Verne was inspired by the legend of the kraken and I would not be surprised to find out that H.P. Lovecraft was as well (shameless foreshadowing of future blog entry in the Countdown). 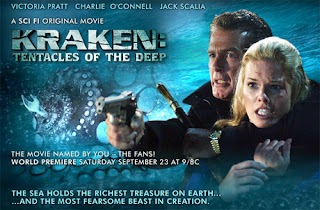 I have not yet seen the beast realized to my satisfaction in film, but the cephalopod attack is my favorite sequence in the otherwise lacking Pirates of the Caribbean: Dead Man's Chest. I'm hopeful that some future filmmaker will get it right someday. The technology is there and with the recent success of Pacific Rim, I hope to see more giant creatures on the big screen. Until then, I'll just have to suffer through another SyFy attempt.